** Update** Dr Glennie raised a grand total of £960.17. Amazing! Many thanks for all contributions. On 13th May 2018 Dr Glennie will be cycling 112 miles through the Lake District over the passes of Kirkstone, Honnister, Whinlatter, Hardknott and Wrynose climbing a total of 3950m. To provide some meaning to this suffering he is riding to raise money for the Great North Air Ambulance and we would appreciate your support. 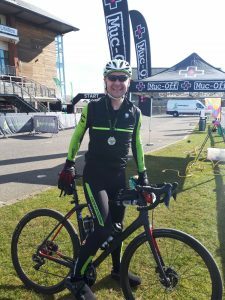 Winter training has been delayed by the “beast from the east” but Dr Glennie rode his first preparation ride on the 24th March covering 81 miles over the flatter terrain around the Cumbrian coast and Carlisle. Patients - Please do not send patient data / clinical information to the above email addresses.